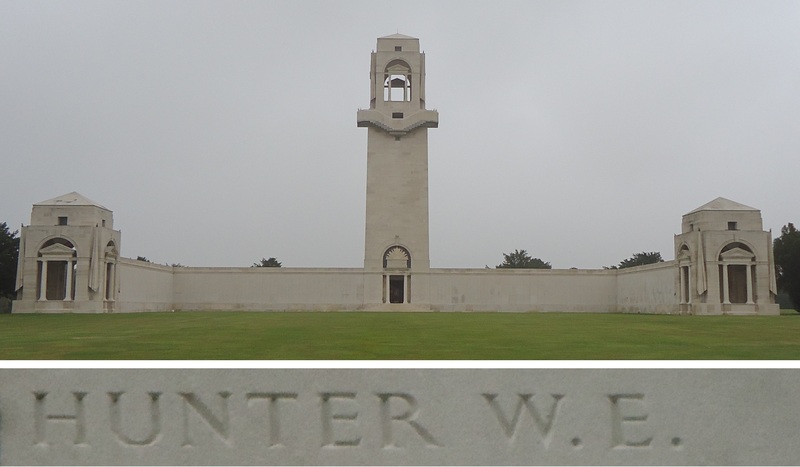 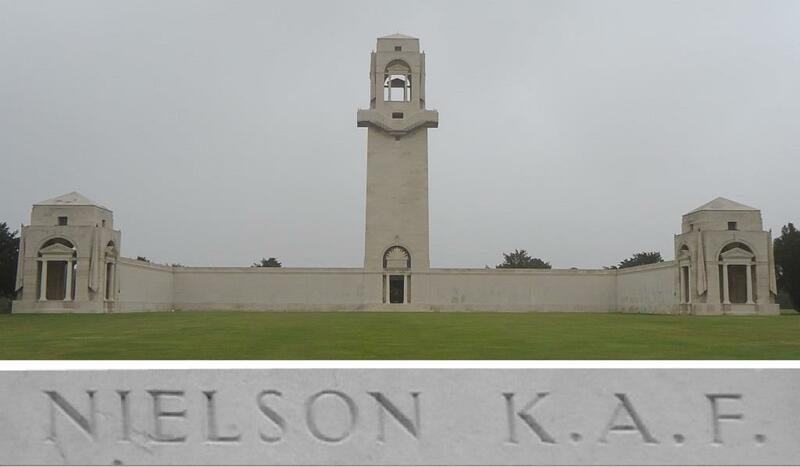 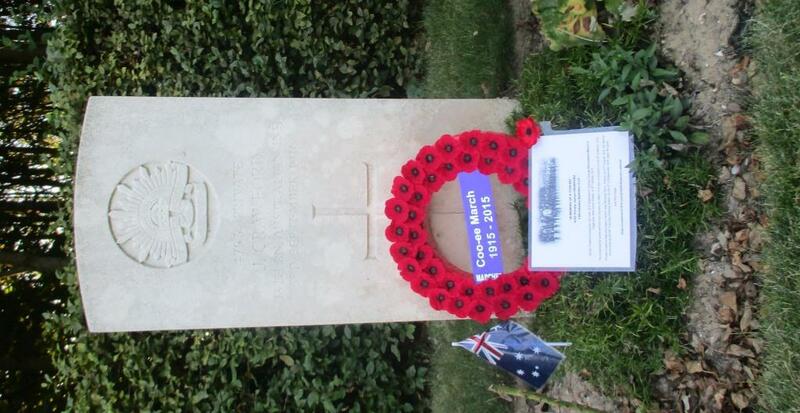 On 28th August 2014 Stephen and I drove to La Clytte Military Cemetery, which is located at the village of De Klijte (formerly La Clytte), 8 km west of Ieper (Ypres), in Belgium. 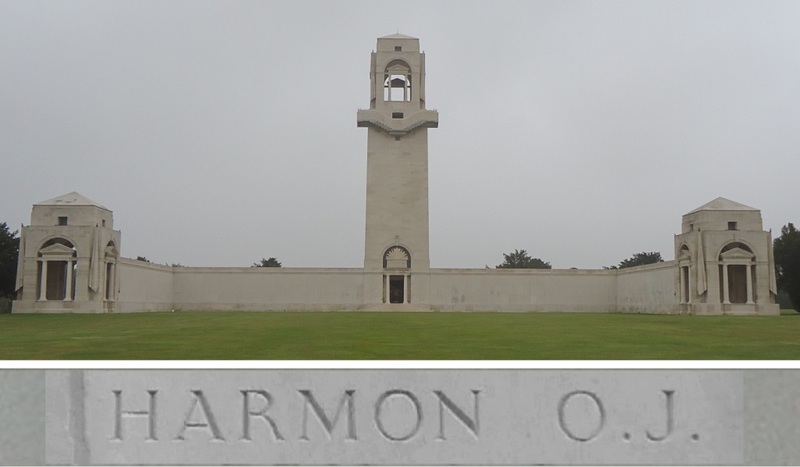 According to the Commonwealth War Graves Commission website http://www.cwgc.org/, the hamlet of La Clytte was used as Brigade headquarters, and burials were carried out by Infantry, Artillery and Engineer units for front line burials from the Ypres area battlefields during the First World War, and after the Armistice, re-interments from isolated graves and other small graveyards from the area. La Clytte Military Cemetery contains 1082 casualties either buried or commemorated in this cemetery. 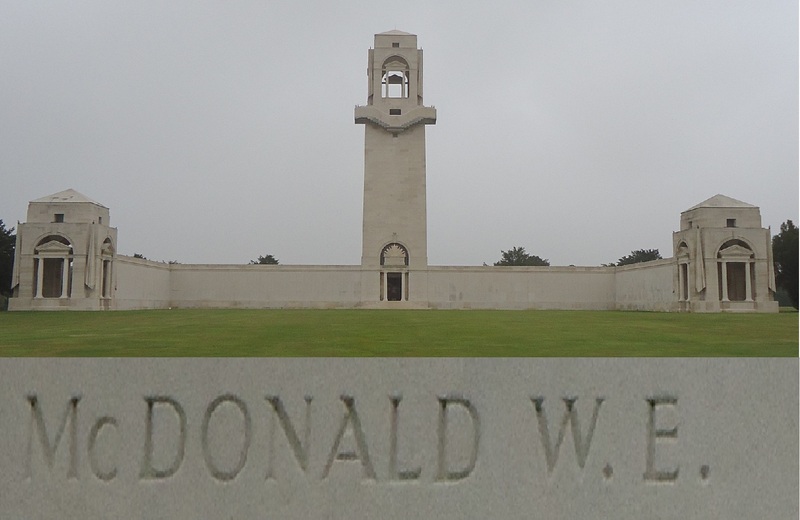 There are special memorials for those soldiers who are known to have been buried in the cemetery, but whose graves could not be located. 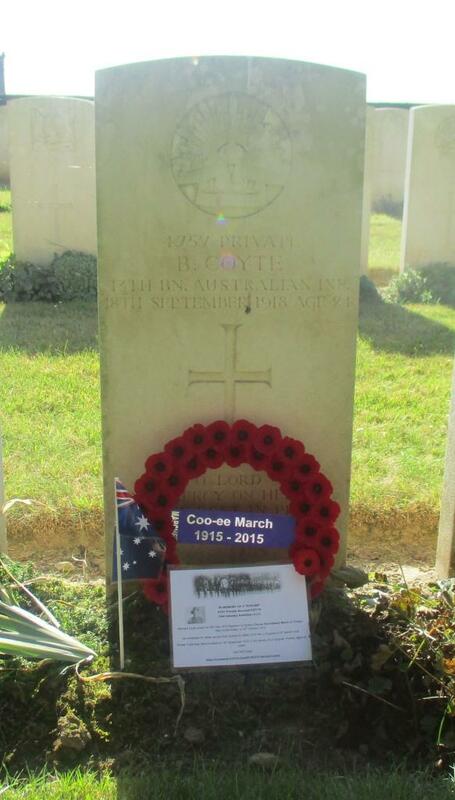 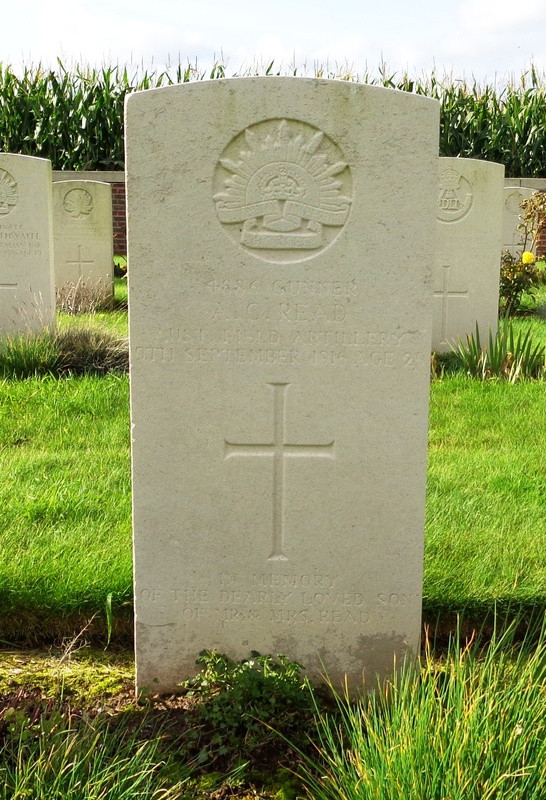 Arthur Charles Reid, a shearing machine expert on enlistment per his service record, from Condobolin, who we think joined the Coo-ees by the time they reached Katoomba, is the only Coo-ee buried in this cemetery. 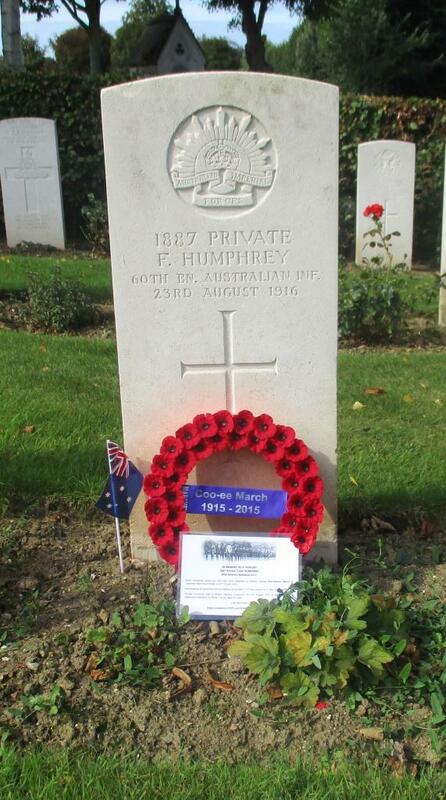 He died of wounds on 9 September 1916. 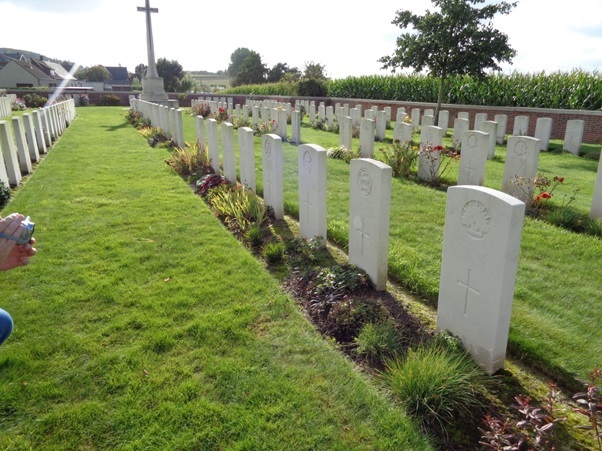 The photograph below shows Joseph Arthur Reid’s headstone (on right) looking towards the cross of remembrance at La Clytte Military Cemetery. 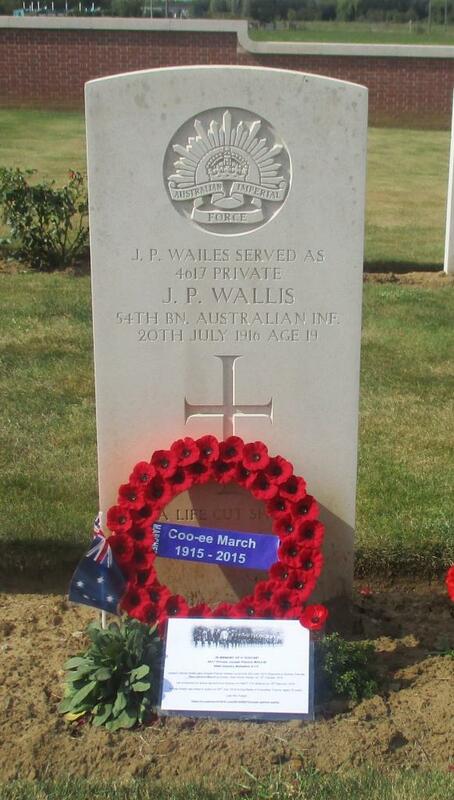 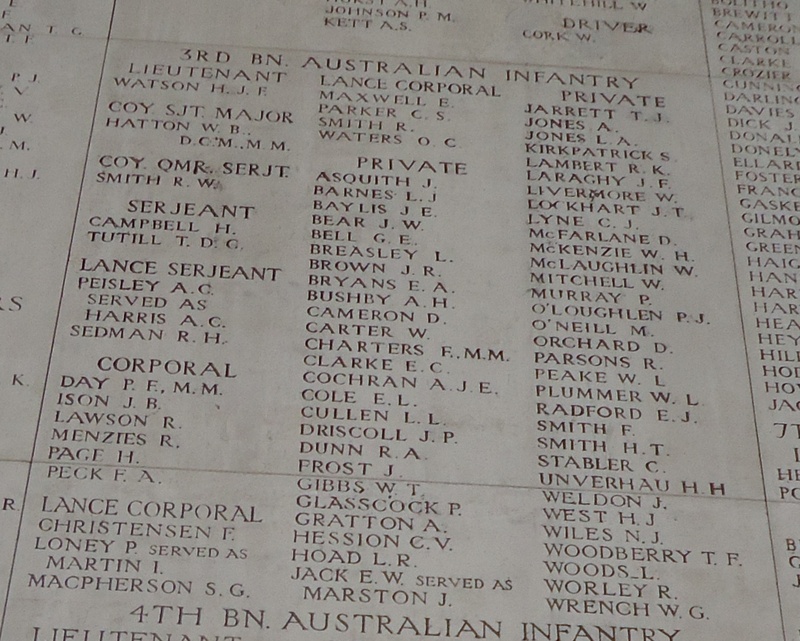 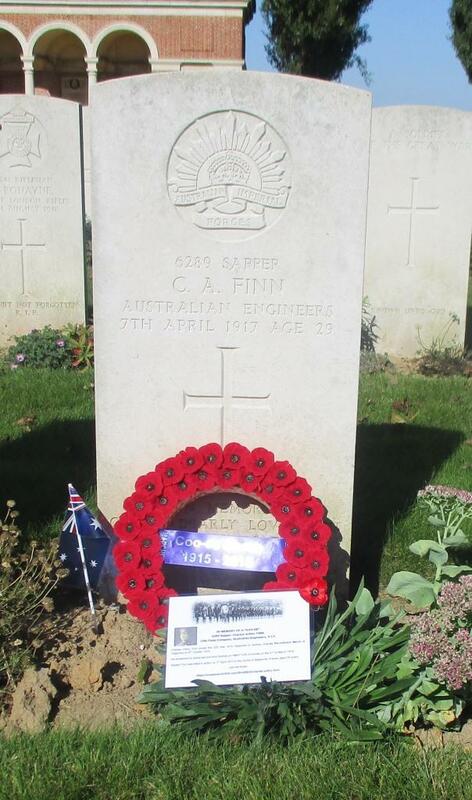 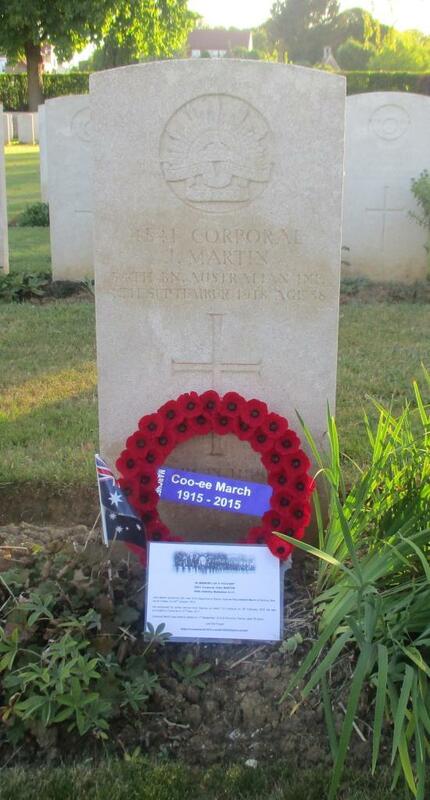 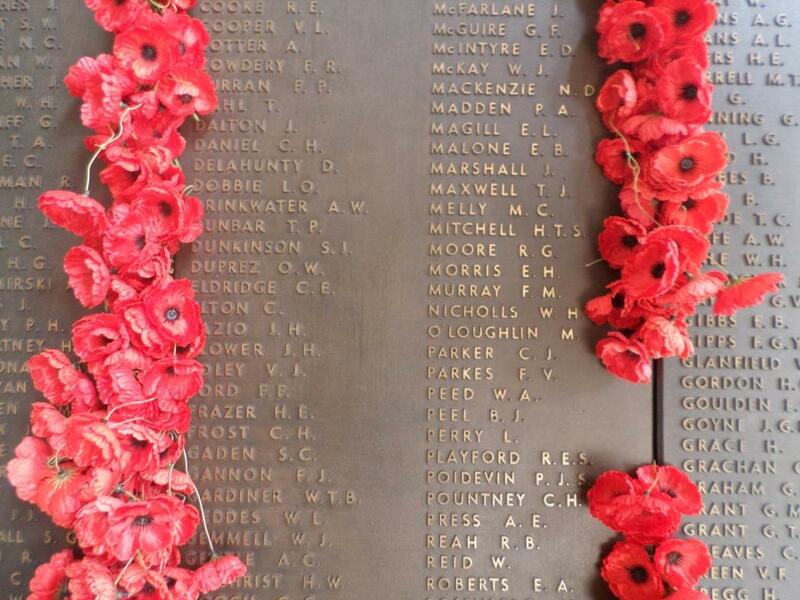 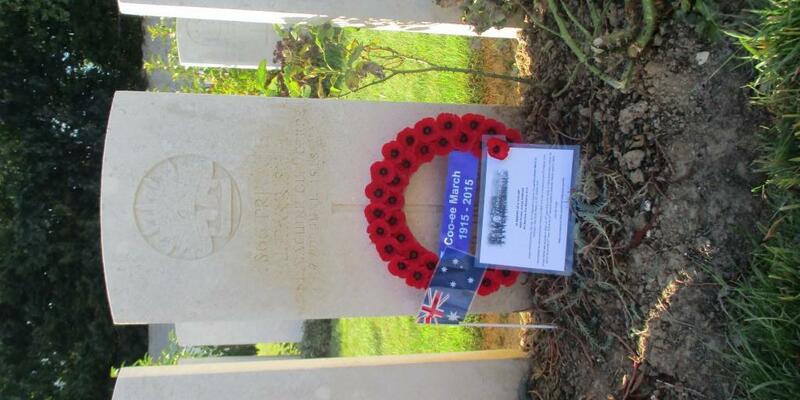 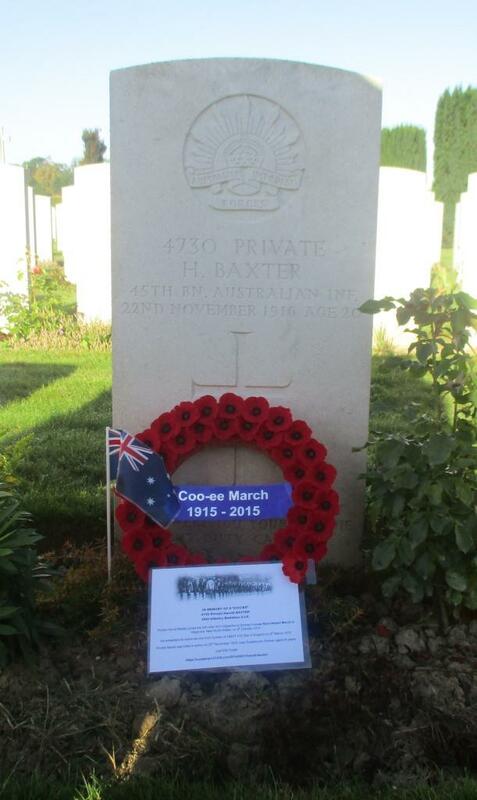 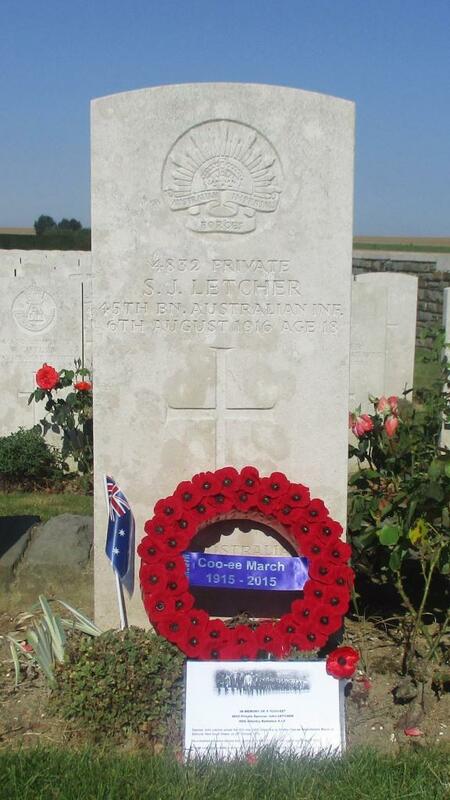 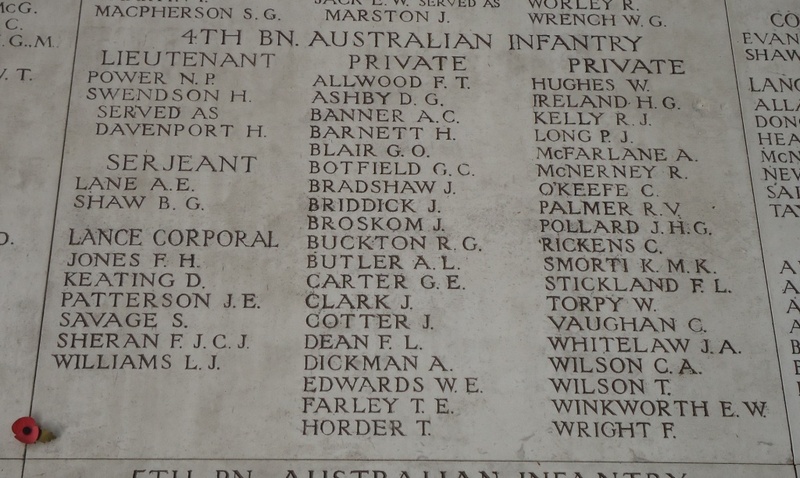 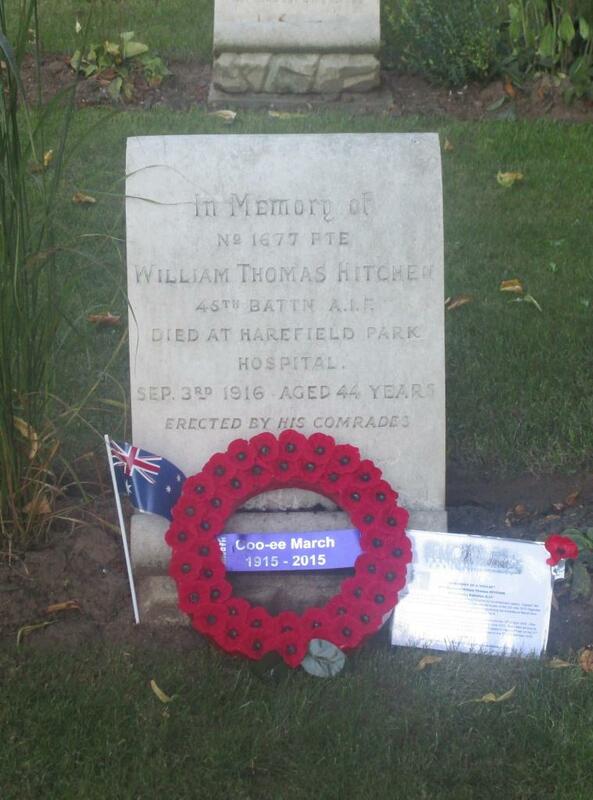 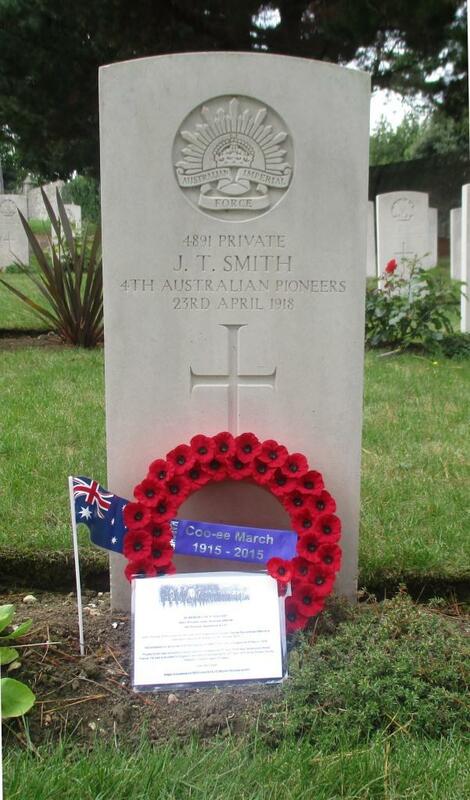 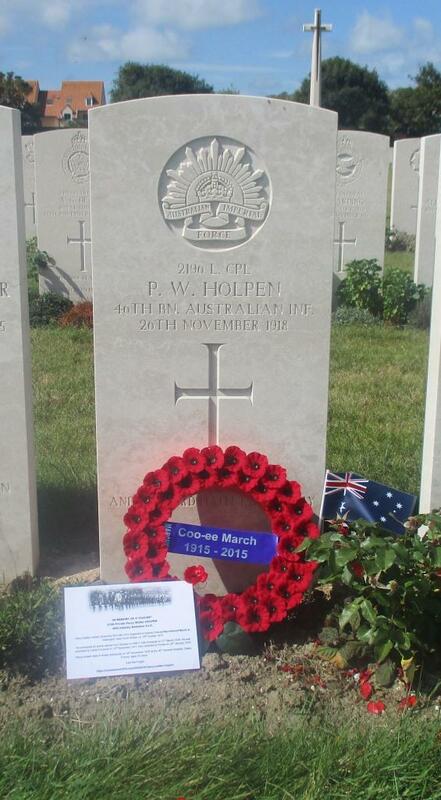 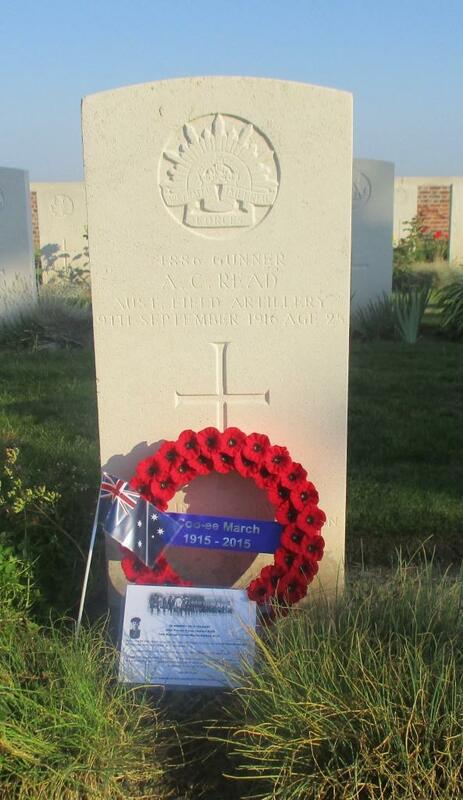 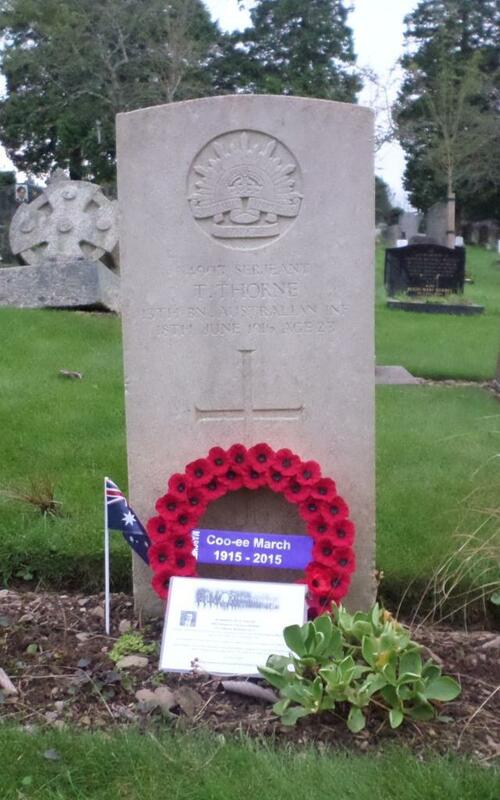 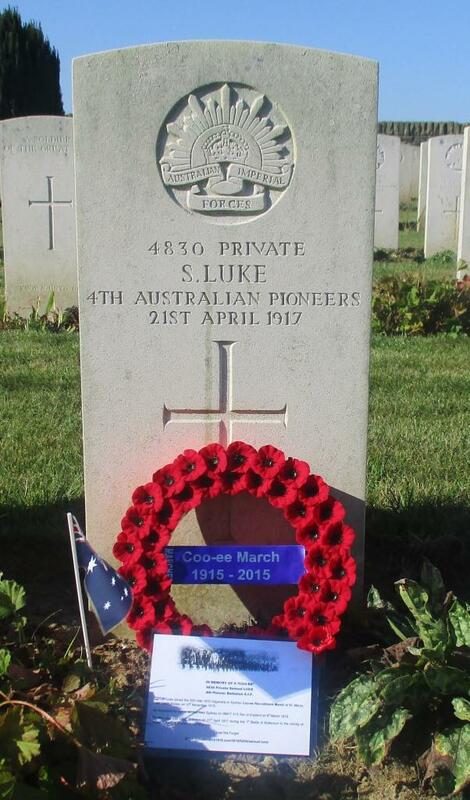 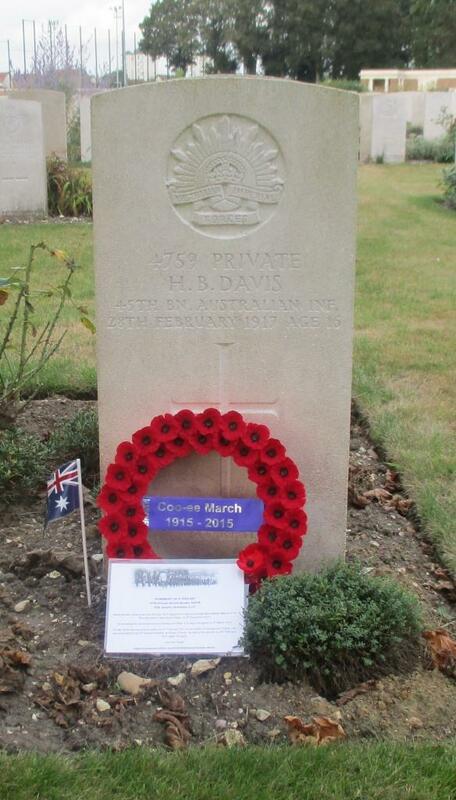 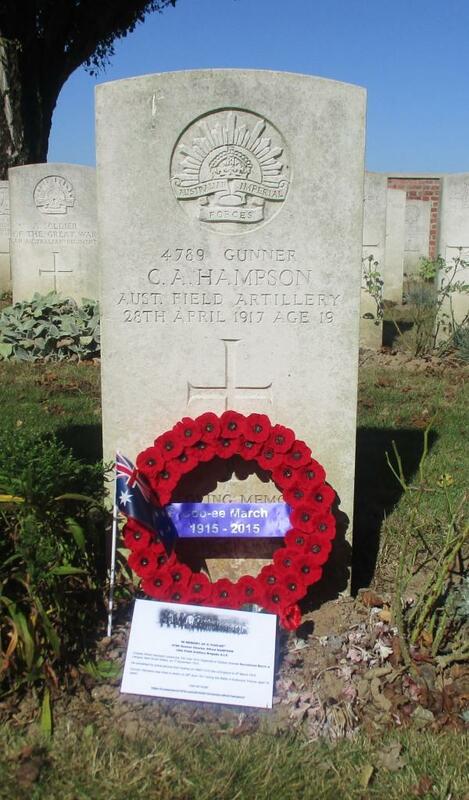 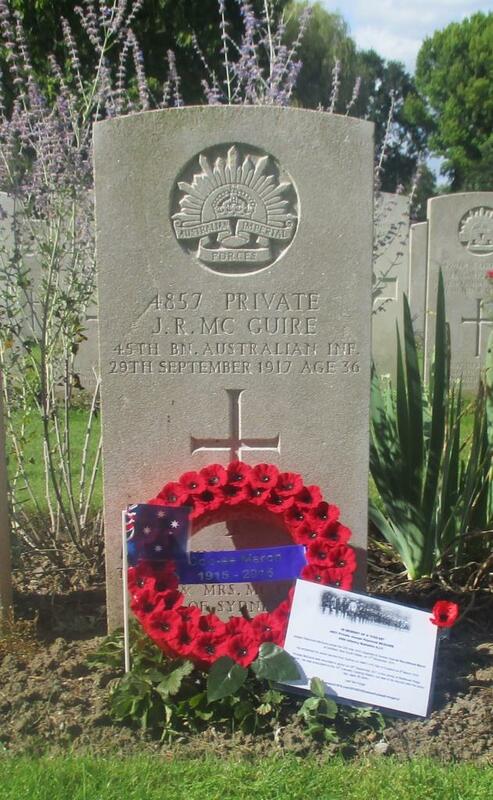 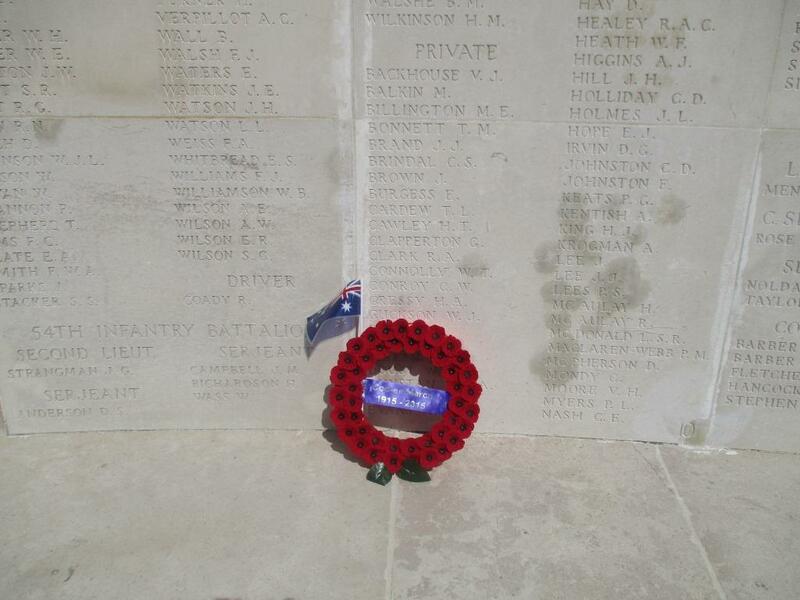 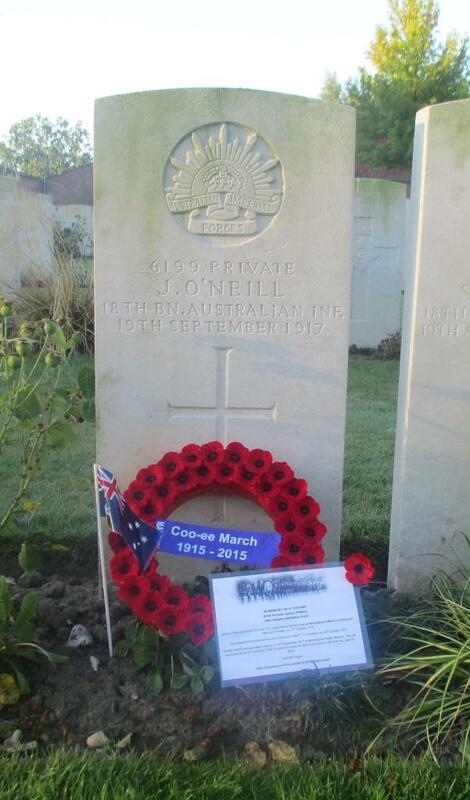 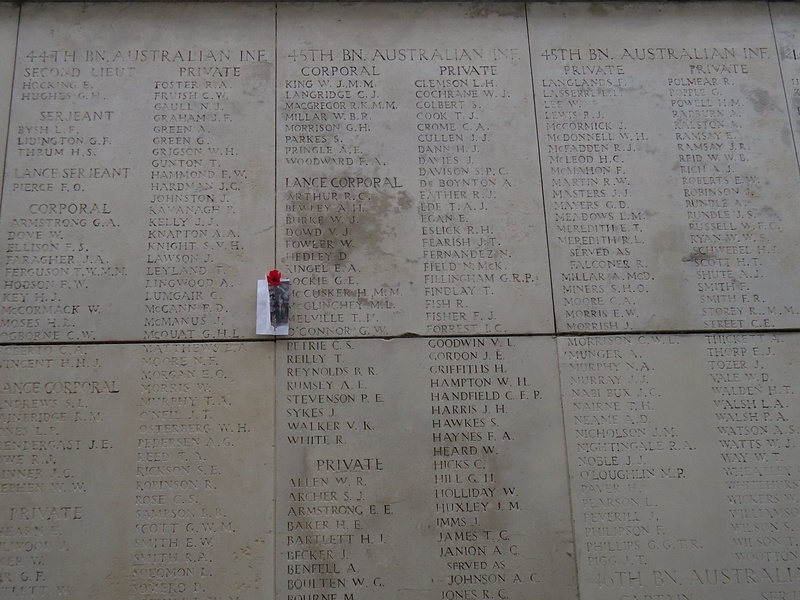 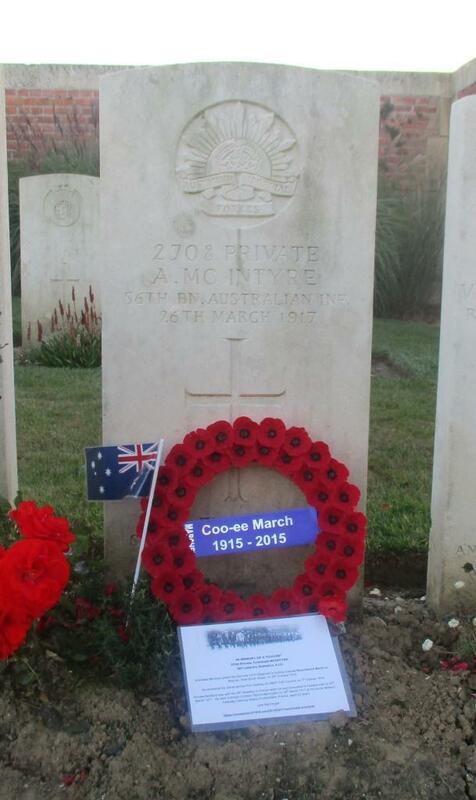 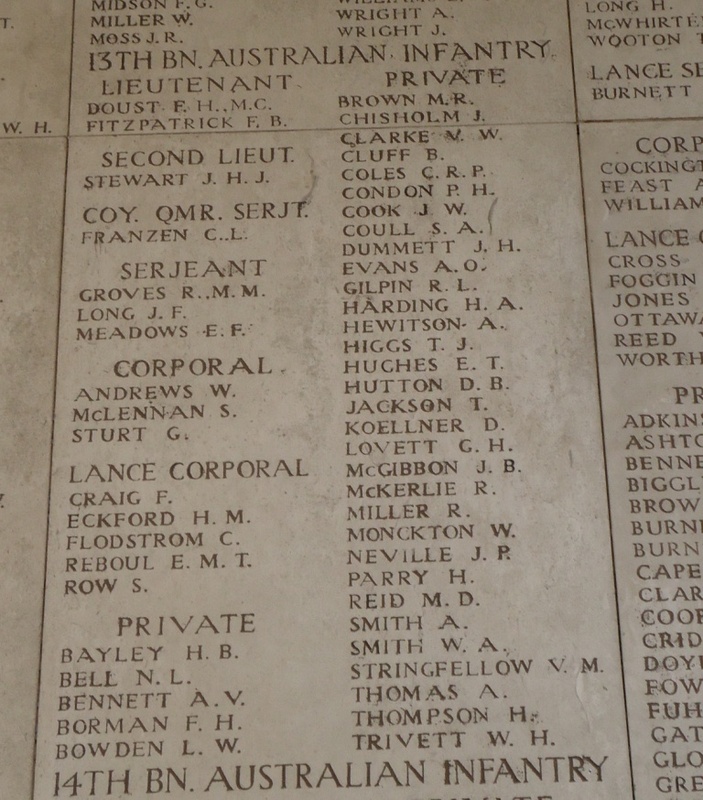 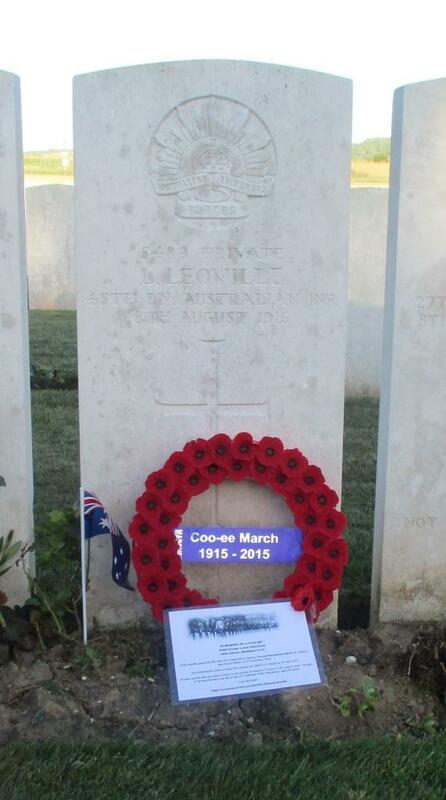 His surname is spelt as READ on his headstone, but REID on his service record, and Australian War Memorial Roll of Honour. 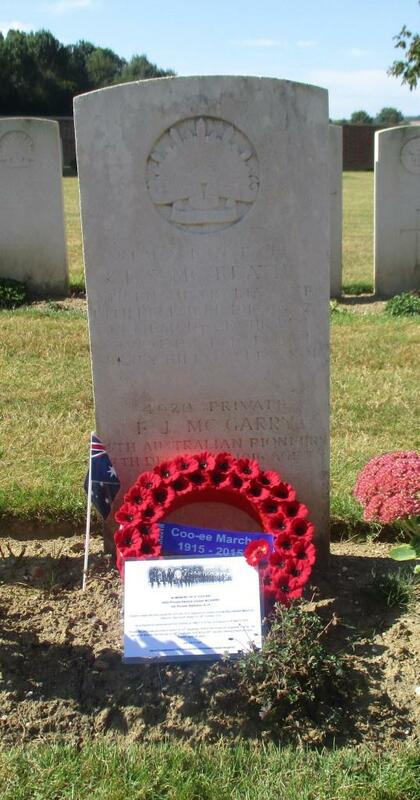 A photograph of the headstone on Arthur Charles Reid’s grave will be added to his individual blog entry, and form part of a Roll of Honour for the fallen Coo-ees on this blog.